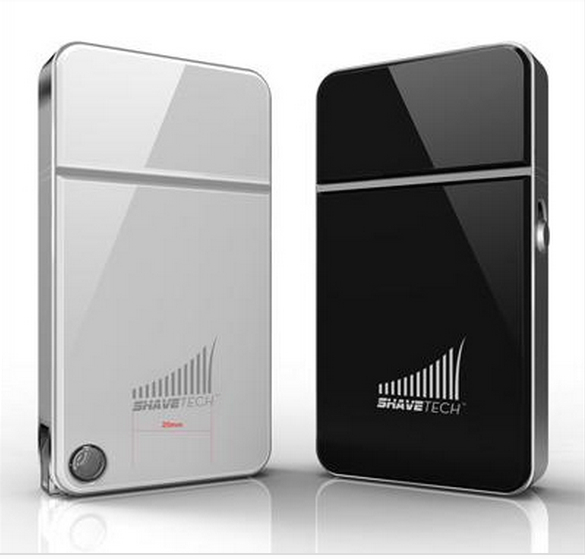 The Shavetech shaver recharges through your USB port and is no bigger than a typical smartphone. Now this is traveling light. The svelte ShaveTech electric razor is absolutely ideal for the road. You can shave dry, recharge it through the USB port on your computer or with an accessory electrical adaptor, and it’s the size of an iPhone. When not in use, the USB plug tucks back inside the shaver for streamlined, smartphone-size portability. It’s so discreet and lightweight, you could even carry it in a suit coat pocket and it wouldn’t put a crease in your oh-so-fragile aura of travel cool. Even better, ShaveTech doesn’t require an electrical converter, and a single full charge holds for 30 minutes of shaving.